Hold your horses for a while. The Rocky Mountain Horse breed was not bred and nurtured in the Rocky Mountains at all. As a matter of fact, this horse was bred in the Appalachian Mountains in the State of Kentucky. The mountains in this part of the US are home to many homesteads and small farms. 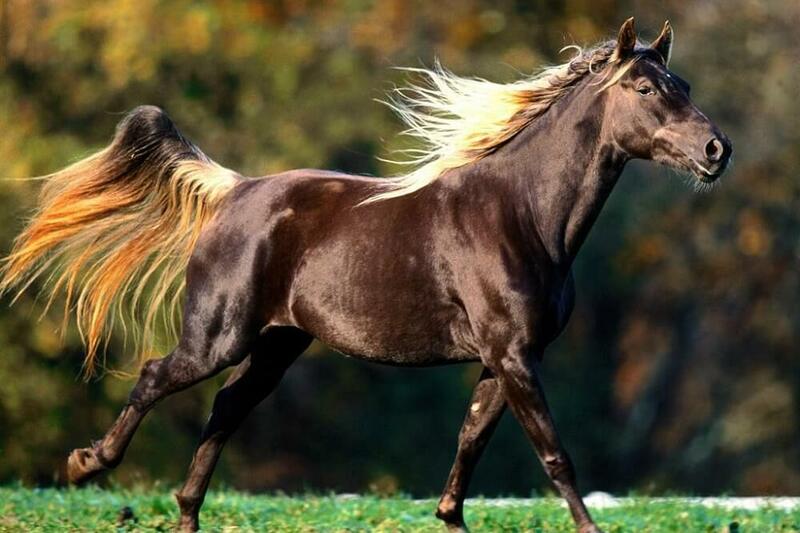 Not only is the Rocky Mountain Horse a practical choice when it comes to horse ownership, but the breed has many qualities which appeal to hobby riders and breeders. When it comes to American horse breeds, it is perhaps one of the least well-known breeds. However, in recent years, it has become a much more popular horse breed in the US and around the world. 7 7. How Many Rocky Mountain Horses Are Registered Today? 8 8. Who Rides The Rocky Mountain Horse? Are you looking for a horse that will stand out in a crowd? In that case, you can’t go wrong with a Rocky Mountain Horse. 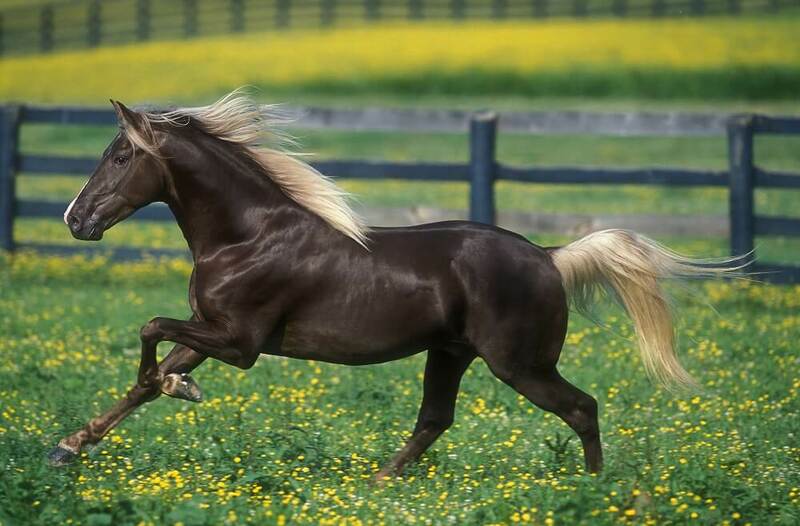 With its chocolate coat and flaxen mane, this is a horse which sports a very unique look. It will stand out at any horse show and will have many young girls swooning at his hooves. If you are a horse lover, you will know that breeding standards have been relaxed when it comes to many breeds. That is not only disappointing for genuine horse lovers, but at the same time, it could mean we are losing out on many special qualities. Thanks to the Rocky Mountain Horse Association, the genetic line of the breed has been kept in check. In 2005 they were only 12,000 registered Rocky Mountain Horses around the world which meet the breeding characteristics. At first, the Rocky Mountain horse was mainly used to work around Kentucky farms, but during the American Prohibition which took place between 1920 – 1933, these wonderful endurance horses could often be found pulling karts with barrels marked as milk. Needless to say, the barrels were filled to the brim with “moonshine” instead of milk. After all, Kentucky was real proper “moonshine country” as the locals would say. The foundation stallion can be found back around 1890. It was breed by a Kentucky man called Tuttle who was looking for a horse which was both comfortable to ride for longer distances and a horse which could pull a plow. The end result was the Rocky Mountain Horse. This new, four-beat gait breed quickly became very popular in the state of Kentucky. The Rocky Mountain Horse almost lost its place in history had not been for Tuttle. He fiercely protected the horse during the Great Depression and the Second World War, and it was mainly found in the Kentucky area. It was a bit of a closely guarded secret it seems, and it sounds like Tuttle was worried about losing this special breed. It is all in the gait. The Rocky Mountain Horse has a special four-beat gait which replaces trotting. So does the Tennesse Walker Horse and it really goes to prove what is so special about Kentucky breed horses. They are bred for comfort and also make them the most excellent working horses. 7. How Many Rocky Mountain Horses Are Registered Today? Thanks to the Rocky Mountain Horse Association, there are now at least 25,000 horses of this breed around the world today. In the United States, it can be found in 47 States and the breed has even spread to 11 countries around the world. 8. Who Rides The Rocky Mountain Horse? Thanks to its wonderful temperament and what can only be referred as “easy rideability”, both seniors and children enjoy riding the Rocky Mountain Horse. The breed is also popular with handicapped persons as it is such an easy horse to control. In short, it can be said this horse has a personality to die for. Not only that but still today it seems to be happy pulling a cart as well as having a rider on is back. In the United States, it has become a popular horse in endurance events, and it seems that its popularity is increasing on an annual basis both in the US and around the world. More than anything it would appear the Rocky Mountain Horse enjoy the company of us humans. If you are considering bringing one of these horses into your life, you will have a friend for many years. The Rocky Mountain Horse stands at 14.2 to 16 hands, and this makes it a wonderful horse which company can be enjoyed by all members of the family. This type of horse sounds like a good “all-in-one” option of strength and stamina. Regardless of what you are looking for in a horse, the Rocky Mountain horse has it.